We are very pleased to announce that the immensely talented Magda Polakow has agreed to teach a workshop for us. She has been an artist and stamp designer for a number of years now. Until recently she designed stamps under the Stampotique umbrella but has now branched out on her own. Lis and I both love her work and stock the full range of her new stamp designs. 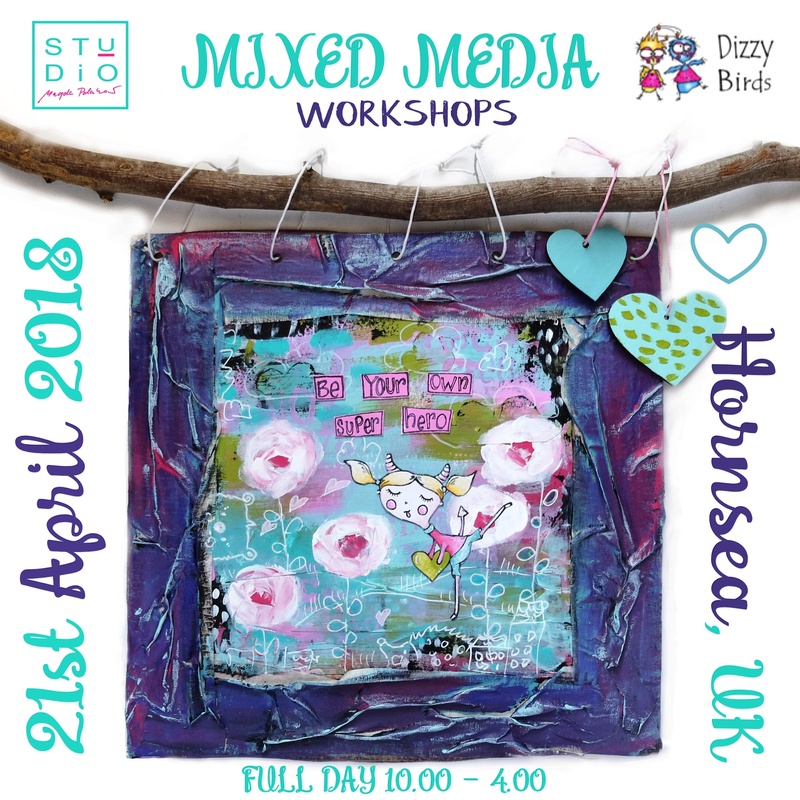 The workshop will involve lots of fab techniques to make this wonderful piece of art. Places will be limited so booking is essential for this workshop. Please get in touch to reserve your place. Mixing up the social networking!! !